Storybrook offers an extensive collection of townhomes, semi-detached, and single-detached homes with major urban amenities, a charming town atmosphere, and natural spaces all close at hand. 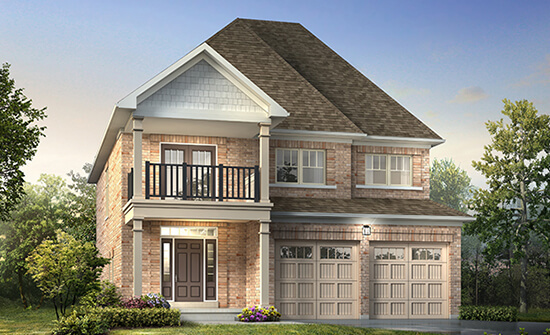 Located minutes away from the scenic Grand River, Storybrook blends traditional architecture with contemporary floor plans and modern finishes to create a cohesive, stylish community. Fergus is located 10 minutes north of Guelph, Ontario, and is a part of The Township of Centre Wellington, Wellington County. It is a strong growing and vibrant community, proud of its rich heritage, and blessed with incredible natural surroundings such as the Elora Gorge & Conservation Area, Belwood Lake and the Grand River. Don’t miss out on your opportunity to preview this peaceful, family-friendly community coming to the town of Fergus. A Master-planned community with over 1,200 units comprised of townhomes, semi-detached and single-detached homes. Residents of Storybrook will enjoy the convenience and comfort that comes with living adjacent to a brand new state of the art hospital facility. Located just moments from the community, New Groves Memorial Hospital is a $127.5 Million facility that will include more space for emergency, ambulatory, diagnostic and inpatient services to accommodate the needs of this growing community. In addition to world-class care, this facility will also be a world-class employer for numerous physicians, nurses, support and administrative workers, making Storybrook an excellent home for health care employees looking for an incredible life/work balance. From 1797 sq. ft. To 3359 sq. ft.
Beatty Ln N and Colborne St.